We remember and salute one of our long-standing members, Ms. Betty Woodridge. 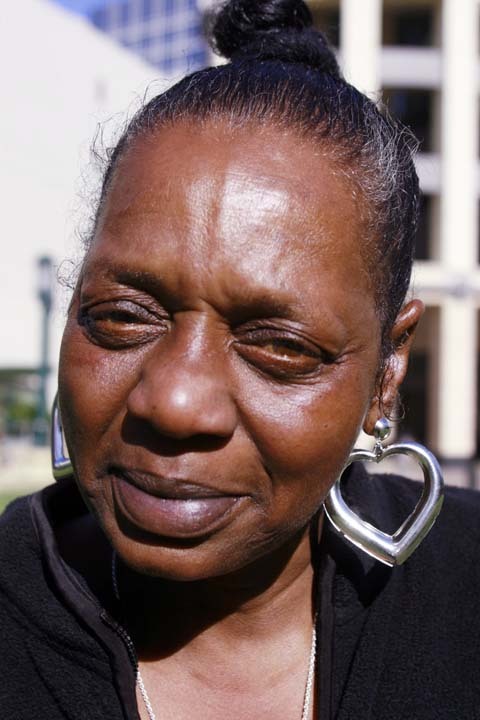 Since she joined Causa Justa :: Just Cause during our fight against Wal-Mart in 2004, Ms. Betty has been a powerful spirit in the world and gave a tremendous amount of love and energy to the fight for housing justice. A life long resident of Oakland and a well-known presence in West Oakland where she lived most of her life, she was-well known for her passion and humor. Whether sitting on her porch, walking the Laney campus where she took classes, riding the bus or walking down San Pablo Avenue, she was always the first to shout out “Hey, baby! How you doin?” to folks passing by. She was the first to get the dancing started at any party, as well as first to call out the shameless exploitation of slumlords and greedy developers. When Ms. Betty got on the bullhorn, she inspired the rest of us and scared those greedy bankers! She brought joy and humor to our struggle and was incredibly loved inside and outside of the organization. She fought a long battle with heart disease and on July 10, 2012, she passed after suffering a stroke. Though we will miss her powerful agitation, crazy jokes, and her loving presence, we are proud to continue the fight for justice in her name and with her fierce spirit.